Somehow I have never read this before or saw any version of the movie, so everything was a surprise to me. She got me. She always gets me. Branagh gave characters a depth that Christie didn't spend a lot of time developing just by his inflections. Very well done. In the frigid days of February 1870, Caroline Ingalls and her family leave the familiar comforts of the Big Woods of Wisconsin and the warm bosom of her family for a new life in Kansas Indian Territory. 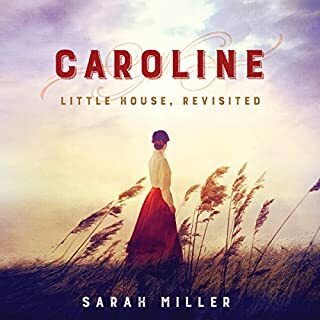 Packing what they can carry in their wagon, Caroline, her husband, Charles, and their little girls, Mary and Laura, head west to settle in a beautiful, unpredictable land full of promise and peril. The pioneer life is a hard one, especially for a pregnant woman with no friends or kin to turn to for comfort or help. This is the story of Little House on the Prairie told from &amp;quot;Ma's&amp;quot; point of view. It's not a page turner, and if you're already a Little House fan, there are few surprise (the author admits to changing some things to make them more historically accurate) but I still got teary-eyed in all the same parts fans have come to know and love. Also, it was interesting to see things from Ma's point of view. Dealing with two little girls age five and three, while pregnant, in a tiny little covered wagon. Giving birth in a strange land where you don't know anyone, and trying to hold your family together during impossible situation after impossible situation. I found myself annoyed with Pa. I am a big Pa fan, seen through Laura's adoring eyes. But when you see the danger he put his family through, not because he had to, but because he wanted to, it was very frustrating. But Caroline is a devoted wife and follows him through thick and thin. Well worth the read, and now I want to go back and read the originals again! The narration was perfectly Caroline's voice. Any review I give this book cannot do it justice. A young count is sentenced to a life of house arrest in a first rate hotel in Moscow just after the revolution. We see Moscow change over the next thirty years from his perspective. Strong character descriptions, amazing use of language and a thoroughly likeable Count make this a can't miss book. 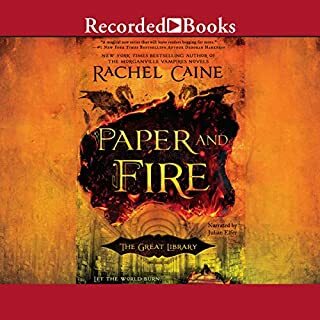 Highly recommended in audio book format. My new favorite of the year. 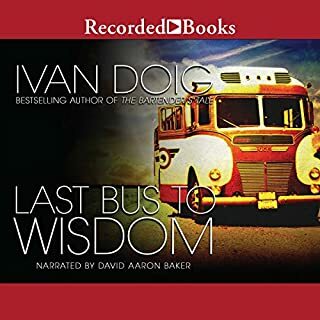 Eleven-year-old Donny journeys on the "dog bus" across the country and back during the summer of 1951 and meets a number of eccentric characters along the way. A down-on-her luck waitress, soldiers shipping off to Korea, a jail-breaker and his brother, and a close-knit bunch of hoboes are just a few of the well-drawn characters that help bring this story to life. 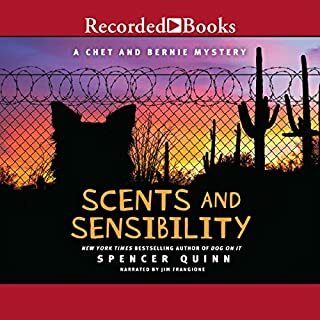 When a summer visiting his Great Aunt Kate and Uncle Dutch doesn't go as planned, Donny finds himself on a rough and tumble adventure in the west. The author takes his time with this novel developing characters and settings which gives it the feel of a well-written classic. Books that that take their time (in a good way) seem to be a rarity these days. This one is well worth your time and expertly narrated by the popular David Aaron Baker. As is the case with trilogies, the second book was not as good as the first, but still interesting. 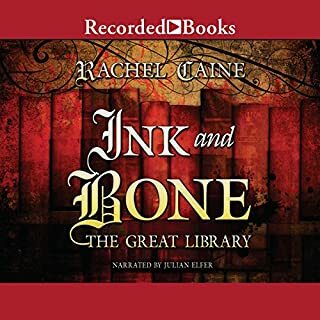 The library students from the first book are now serving separately at their assignments, but a twist brings them back together again with their old professor. The once seemingly bright world of the library is looking darker and darker. Looking forward to the conclusion. 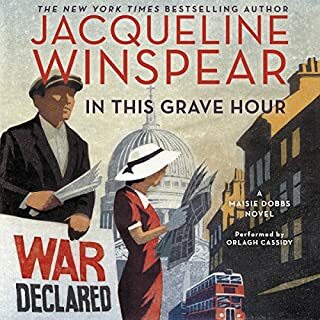 War has been declared again and Maisie finds herself investigating the deaths of Belgium refugees from the First World War while dealing with the mystery of a child who won't speak who has been evacuated from London during the current war to Maisie's inlaw's estate. The writing reminded me of the earlier books and I really enjoyed it. A few of the later books weren't as good, but this one is back on target. Orlagh Cassidy is Maisie. I can't imagine any other narrator as she, Billy, or Priscilla. Imagine a world where the Great Library of Alexandria was never burned, the library rules the world and the most coveted and prestigious job is librarian. What could be better? It was enough for me to listen to this book. But, there is something ominous about this seemingly perfect world where the lion statues in front of the library come to life and chase down book thieves, owning original books is illegal and knowledge trumps everything...even human life. Strong characters, good plot and lots and lots of book lovers. 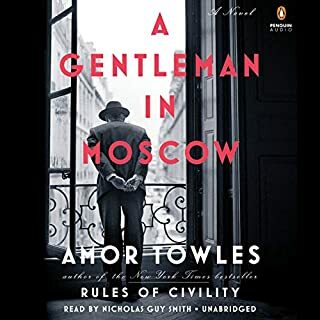 I really enjoyed this, will continue the series. 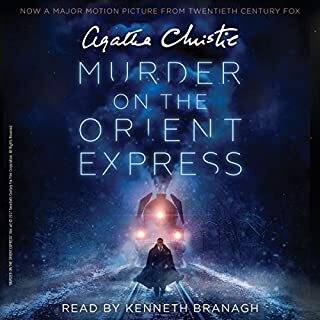 The narration was excellent and helped bring the story to life. I'm not sure I would have enjoyed it as much in print. The Thin Man introduces Nick and Nora Charles, New York's coolest crime-solving couple. Nick retired from detecting when his wife inherited a tidy sum, but six years later a pretty blonde spies him at a speakeasy and asks for his help finding her father, an eccentric inventor who was once Nick's client. No likeable or sympathetic characters. Boring plot line. Lots of privileged people whining about their lives. I was hoping to like this a lot more than I did but was grateful when I finished the audio. I did enjoy the relationship between Nick, Nora and Asta, but there wasn't nearly enough of that to save it. 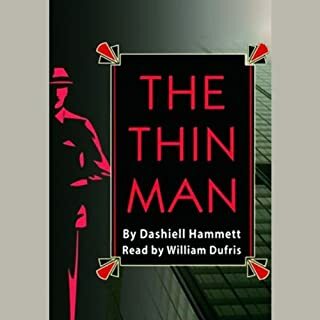 William Dufris did a great job with the narration but this just wasn't my cup of tea. 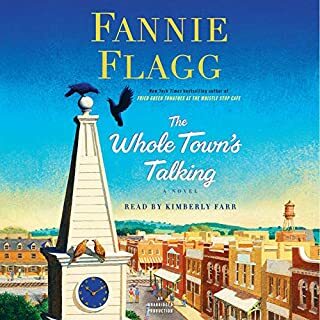 This is the fourth book in the series about Elmwood Springs, and it's just as a warm and charming as the other three. In this book, we learn about the founders of the town and what happens to some of our favorite characters. Extremely well narrated. Made me laugh out loud many times, particularly at Aunt Elner's antics, and it sometimes made me cry. Highly recommended. Mysteries, chases, fights, riding shot gun, and more of Shooter the pup. A solid installment.